Kim Englund, F-Secure’s Training Manager for Product & Services Marketing, has been to quite a few company parties — 23 winter parties and 18 summer parties, to be exact. His first holiday party was a black-tie affair in 1996, when F-Secure was still known as Data Fellows and only employed a few dozen people. “After the dinner in restaurant Klaus K, we walked all together in a single troop to a night club called Kymppikerho, where we continued until the morning,” he said. Since then the memories and “war stories” have accumulated. There was the party when the company commandeered a steam engine to the southernmost part of Helsinki. And then there was Kim’s favorite party in 2001, right after F-Secure moved into its current headquarters. The empty third floor became the F/S Securella, the perfect venue for cruise-themed party complete with a movie theater playing Titanic non-stop as the house band of fellows – including current fellows Tomi Tuominen and Mikko Hypponen – played all night long. 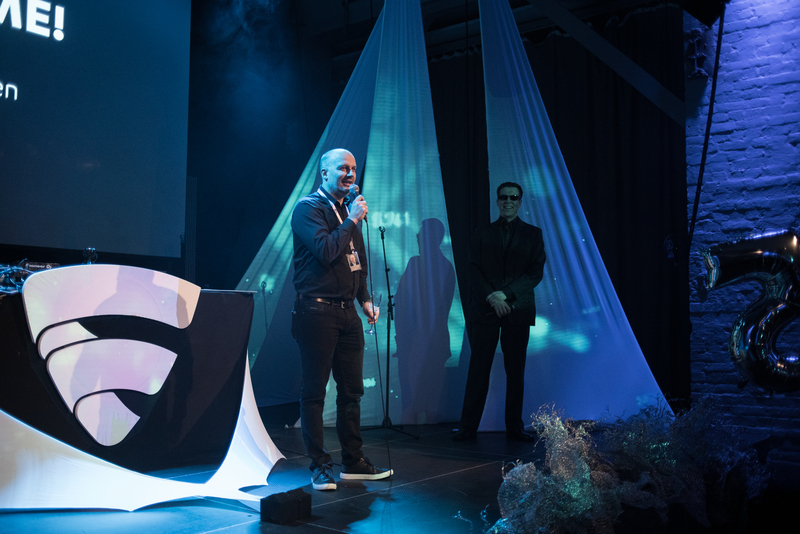 And Kim was there this year as hundreds of fellows celebrated F-Secure’s first 30 years of making hackers unhappy with a winter party looking forward to the future. F-Secure fellows from across the company volunteered their time to plan the event. 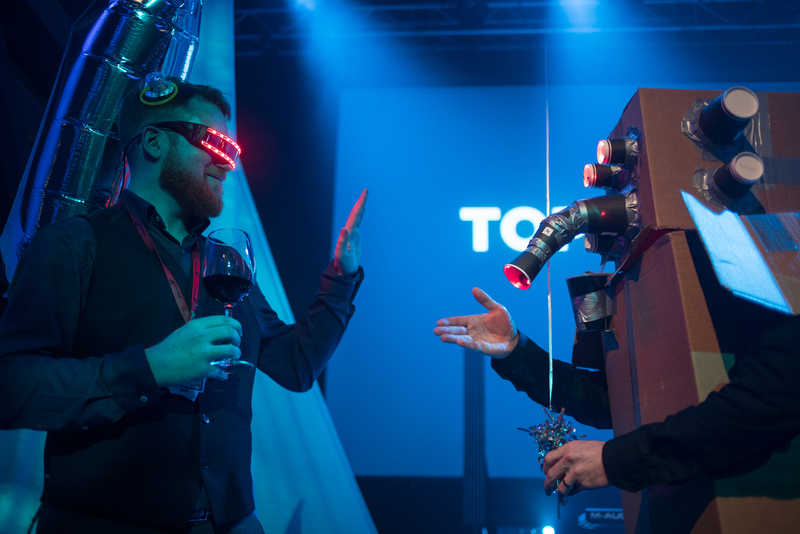 The team decided that they wanted to use the party as not just a way to have some fun and show some appreciation for the skilled and dedicated people that drive the company forward, but also to show others how fun working at F-Secure can be. “In Finland, we have a high demand for and a serious shortage of talented programmers and other such techies, companies are experiencing difficulties getting their open positions filled with skilled experts,” said Matti Aronen, Systems Administrator for Release Management at F-Secure. 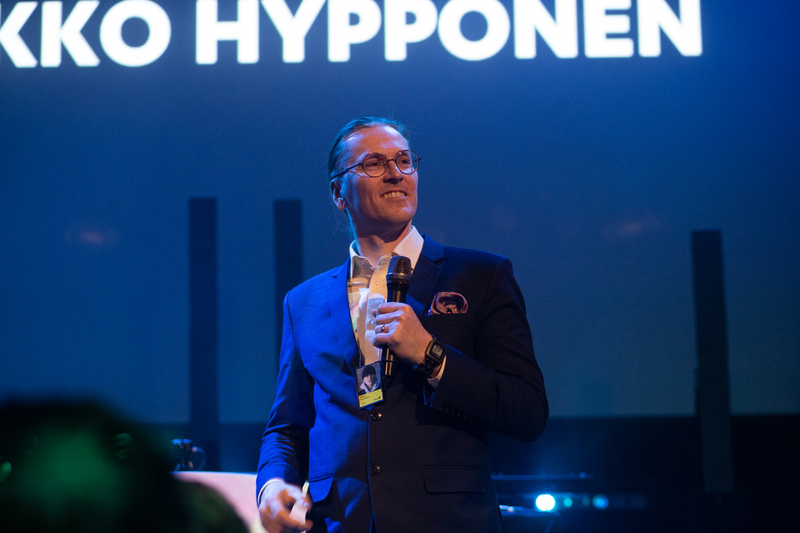 Though Finland makes up less than 0.1 percent of the world’s population, the country has seen about 10 percent of the world’s startup exits over the last few years. 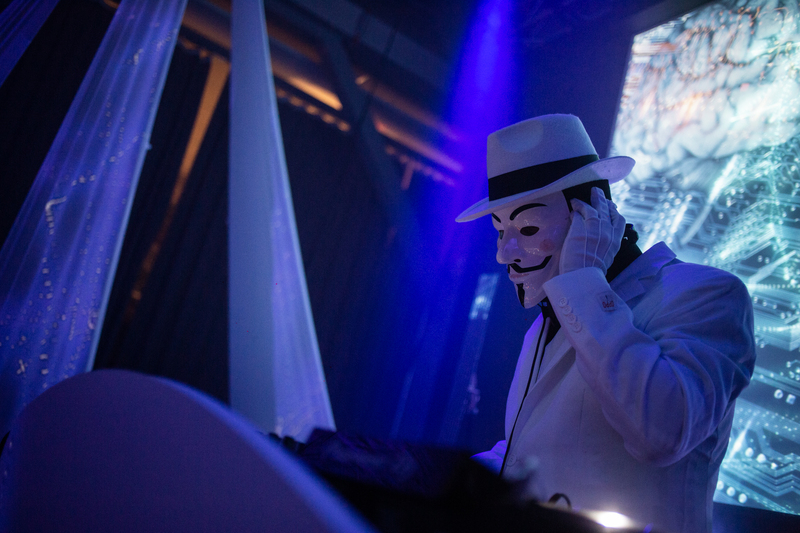 Matti answered an email that went out F-Secure’s Helsinki office looking for organizers and decided to put his experience in organizing various events ranging from small forest “rave” parties to tech conventions and much larger festivals at the service of his co-workers. The planners quickly decided the future was a solid theme given the look back at the past the company has been doing for its 30th anniversary. “That theme also gave nice liberties when it comes event’s appearance, decorations, program and such,” Matti said. Two different decorations crews were brought in along with a Finnish breakbeats techno band and a masterful video projections artist. Fellows were asked for their music requests, which were delivered along with a professionally prepared playlist by a DJ who was probably the most photographed partygoer. Over a dozen fellows entered the costume contest and everyone was invited to share their favorite images over social media using our in-house #FSecureLife hashtag for a chance of winning a paid day off. 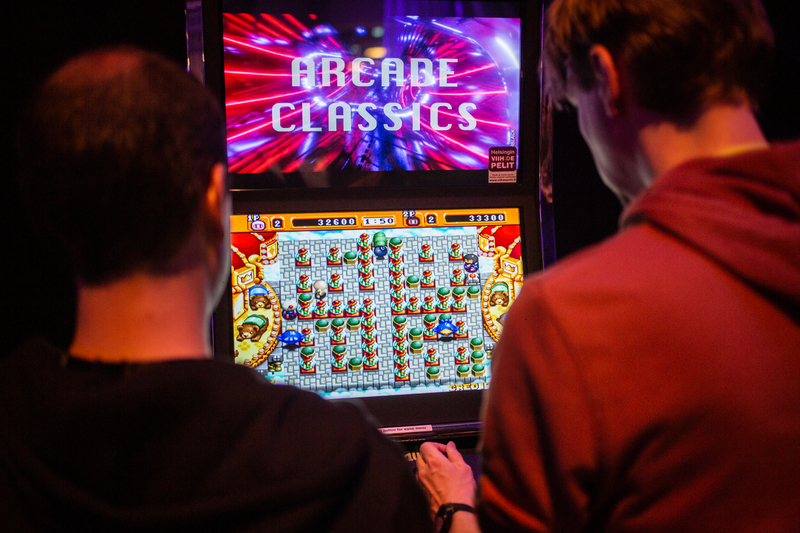 And it wouldn’t be an F-Secure event without some cool tech—and games. With a VR headset, you could take a simulated rollercoaster ride. Nine arcade games were positioned throughout the party. And if you just wanted to look into your future, a fortuneteller was giving readings. The future quickly becomes history. So to commemorate the event the organizers put together a time capsule filled with photos of the event and video messages from the Leadership Team. The plan is to open it at an F-Secure party in 10 years. There will be a lot more stories accumulated between now and then. But, as Kim can tell you, the good times just keep on coming.